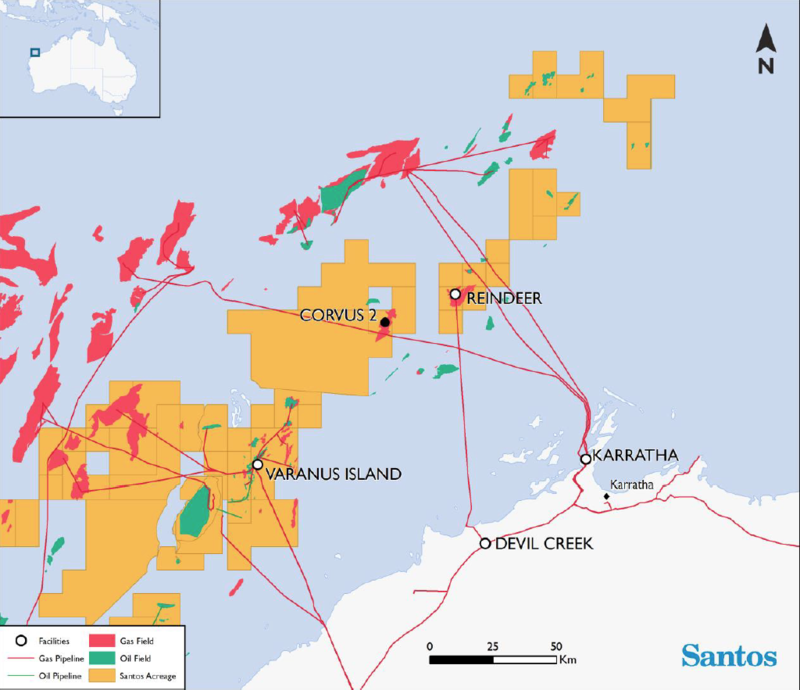 Santos has discovered a significant gas resource in the Carnarvon Basin offshore Western Australia during its Corvus-2 appraisal. The well, located in petroleum permit WA-45-R, in which Santos has a 100 per cent interest, is approximately 90 kilometres northwest of Dampier in Commonwealth waters and reached a total depth of 3998 metres. 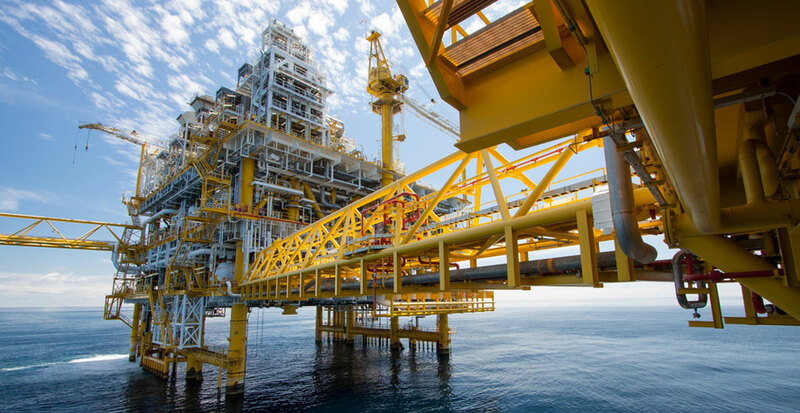 The well intersected a gross interval of 638 metres, one of the largest columns ever discovered across the North West Shelf. Wireline logging to date has confirmed 245 metres of net hydrocarbon pay across the target reservoirs in the North Rankin and Mungaroo formations, between 3360 and 3998 metres. Higher permeability zones than encountered in Corvus-1 have been observed from initial pressure sampling completed in the well. Compared to Corvus-1, initial samples acquired from Corvus-2 indicate a significantly higher Condensate Gas Ratio of up to 10 bbl/mmscf and a similar CO2 content of seven per cent. Santos managing director and chief executive officer Kevin Gallagher said Corvus-2 has delivered a fantastic result and has opened up a number of additional exploration opportunities in the region.